Cable networks were originally designed for the delivery of broadcast TV. The demand for broadband access services in the late 1990s created a new business opportunity for cable operators, which in turn led to the development of Data over Cable Service Interface Specification (DOCSIS), a standardized mechanism for delivery of data services over the traditional cable networks. The DOCSIS 1.0 standard was published by CableLabs in 1998 and was focused on Internet. Later versions of DOCSIS added support for voice, gaming, streaming and symmetrical services, and enhanced the available throughput. 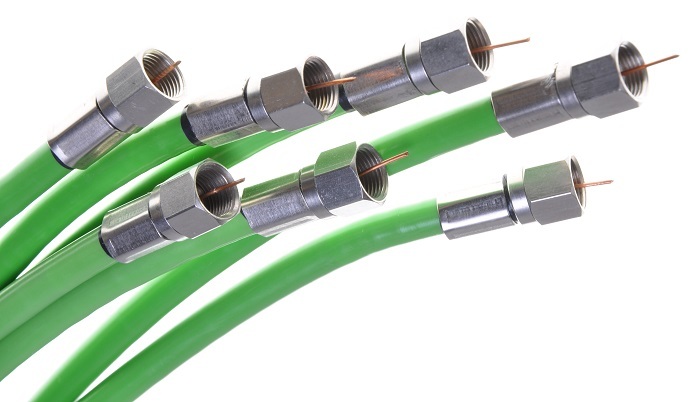 The cable network is a point-to-multipoint hybrid fiber-coax (HFC) plant, in which coaxial cables are used for carrying the signals inside the operator's control center – also known as cable headend - as well as in the last section of the network that connects to the customer's modem, while fiber is used in between these two sections. Since this network was initially designed for broadcast TV, the introduction of broadband data services required cable operators to make major investments in their HFC plants to convert them to work as bi-directional networks. The DOCSIS 3.0 standard from 2006, which is widely deployed on cable networks today, supports about 1 Gbit/s downstream and up to 245 Mbit/s upstream in its North American version, and more than 1.3 Gbit/s downstream in its European version (EuroDOCSIS). This throughput is achieved by bonding of multiple frequency channels, with a maximum of 24 downstream channels and 8 upstream channels. The demand for higher bandwidth and the competition with the traditional telecom operators have pushed CableLabs to develop the DOCSIS 3.1 standard. It was published in 2013 and provides additional throughput enhancements, cost reduction and a smooth migration strategy from older DOCSIS standards. DOCSIS 3.1 can deliver more than 10 Gbit/s downstream and more than 2 Gbit/s upstream, but requires a high-quality HFC plant for achieving its optimal performance. A number of vendors are already developing DOCSIS 3.1 products, and various cable operators and MSOs are planning to start testing them once they are available. Other cable operators and MSOs are moving away from HFC and replacing their networks with fiber-all-the-way, which will allow them to use EPON or GPON to deliver their services. CableLabs is supporting this initiative with specifications for DOCSIS Provisioning over EPON (DPoE) and DOCSIS Provisioning over GPON (DPoG).